What's the weather forecast for Showdown Montana this week? Check out the long-range weather forecast for Showdown Montana, including temperature, predicted snowfall and wind details at the summit and base throughout the day for the next week. Tab over to overview or Hour by Hour for alternative views of the Showdown Montana weather forecast. Get Snow Reports, Powder Alerts & Powder Forecasts from Showdown Montana straight to your inbox! Just fantastic. Get in there! We were pleasantly surprised today! There is a ton of untracked snow all over the mountain and the last two days have certainly freshened things up. I would expect the upcoming weekend to be excellent with more snow in the forecast. 24" since closing time Sunday and no operation Monday and Tuesday made it a powder heaven!! 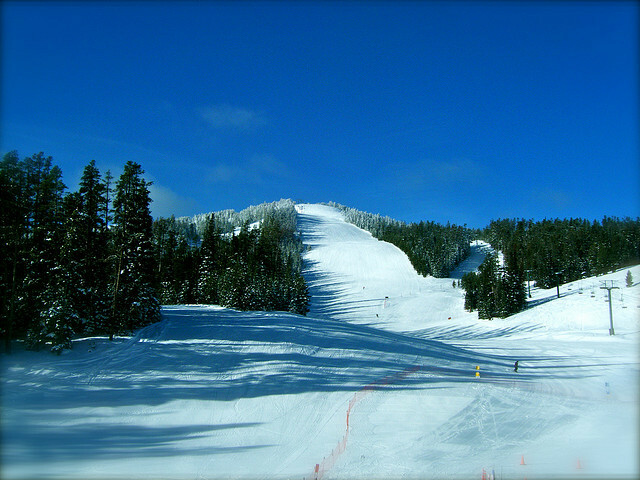 Blue bird Wednesday after a 24" two day total and closed on Mon-Tues! Say the least it was awesome. Floating on freshies! powder was absolutely incredible. You don't get much better than Showdown Montana! This place was amazing today. According to a first hand patroller report over 9 inches fell during the ski day. The powder was incredibly soft with absolutely no stickiness. The snow still hasn't stopped when the fireworks show started tonight. The conditions are the best you will see. Great stuff up there. Piling up on the edges and soft in between.